Lucknow is situated on the banks of the Gomti River. Lucknow is the cultural center of northern India where people are too polite and have their own charming culture and tradition. Lucknow is also famous for its, jewelry silks, perfumes and mouth-watering nawabi cuisines. Lucknow, the capital city of Uttar Pradesh, is popularly known as the 'the city of Nawabs'. Lucknow city was founded by Nawab Asaf-ud-Daula. In the past times, it provided as the capital of the nawabs of Awadh and it is one of the reasons why it is also called as the city of the Nawabs. Lucknow tourism gets one closer to the glorious day's city, through a visit to its several monuments and ruins. The capital city of Lucknow has a magical attraction surrounding it. The city of Lucknow leaves an everlasting impression on its visitors. Lucknow, the capital city of Uttar Pradesh, is one of the few places where one can still find people saying 'aap', 'janab', 'pehle aap', etc. 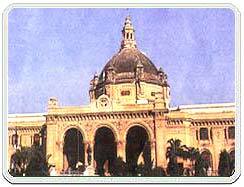 Lucknow Council House is situated in the Lucknow, the capital city of Uttar Pradesh. Council House is also known as the Vidhan Sabha Bhawan. In 1922, the foundation stone of this remarkable building was laid by Sir Harcourt Butler. It was specially made of Mirzapur Uttar Pradesh Stone which adds beauty to the Council House both in the interiors and exteriors. It took six years to complete. Lucknow Council House is octagonal in shape and the chamber's roof has an auditorium which is decorated finely with the national bird peacock in the completely plumed way. 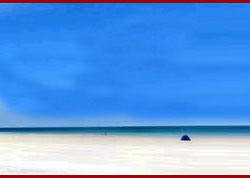 It attracts many of the tourists.